SCCC Royals Cafeteria in Elston Hall. 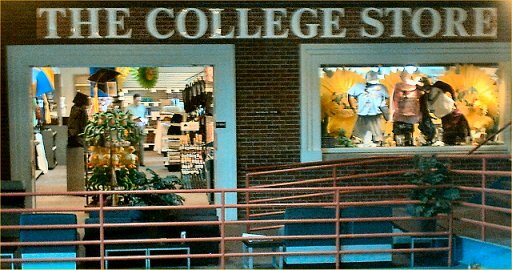 The College Store, an auxiliary of the Faculty Student Association of SCCC, Inc (FSA), is governed by a board of directors comprised of SCCC students, faculty and staff. Just a few of the projects College Store revenues have helped to fund include scholarships, classroom computers, video conferencing, video message monitors, student lounge seating, convocations, commencement receptions, guest speakers, campus beautification and Athletics.